These presentation slides 43219 are complete compatible with Google Slides. Simple download PPTX and open the template in Google Slides. Such a nicely done puzzle designed template may perfectly suit your team, project or startup presentations, reports, data visualization and so on. 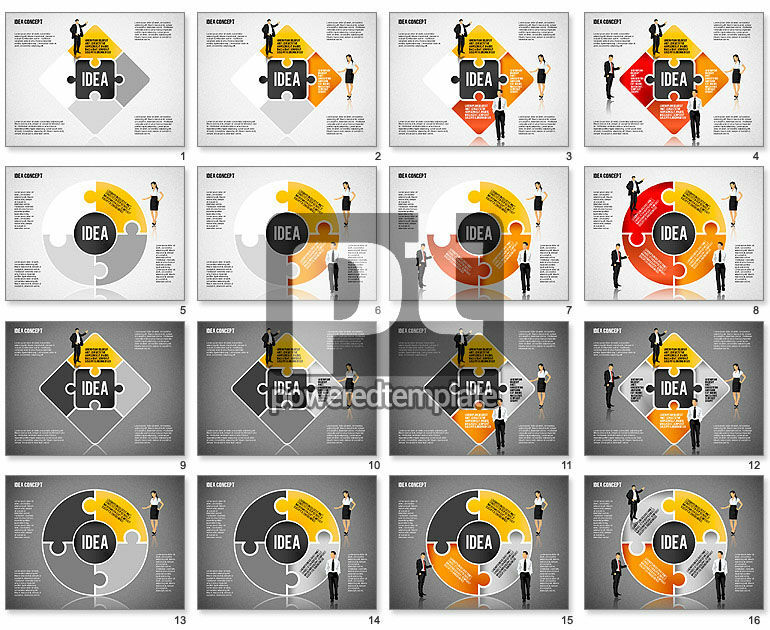 Created in a modern style, it features two variants of color palettes, white-yellow-orange and grey-yellow-silver, with human figures, areas for your text, colorful puzzles of various shapes and a big catching one with the word “idea” in the center.